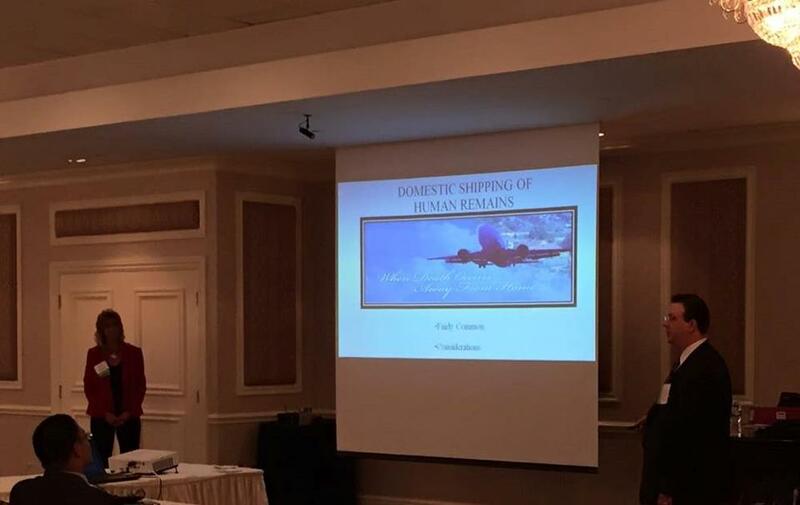 National Mortuary Shipping (NMS) was recently invited to speak to the New York Funeral Directors Association at their annual convention in Poughkeepsie, NY. Angela Berwald and Kahlen Knapik spoke about the complexities of Domestic mortuary shipping and International repatriation. This well attended seminar helped address many of the concerns funeral directors have with out-of-state shipping and international repatriation while offering solutions. If you would like more information about this presentation or to have National Mortuary Shipping and Cremation represent to your organization, please contact Berwald or Knapik at 888-221-0578.